Explore Singapore in a whole new way using the NDP Jalan! app. Leveraging augmented reality, the app lets players take part in quizzes and minigames, as well as view special exhibitions to learn more about Singapore. Players will also be rewarded with discount vouchers for completing in-game quests, making it all the more worthwhile to be out and about from now till 9 August. Fireworks displays tend to hog the limelight at Singapore’s National Day celebrations. This year, however, a digital twist is being thrown into the festivities leading up to 9 August 2018. The NDP Jalan! 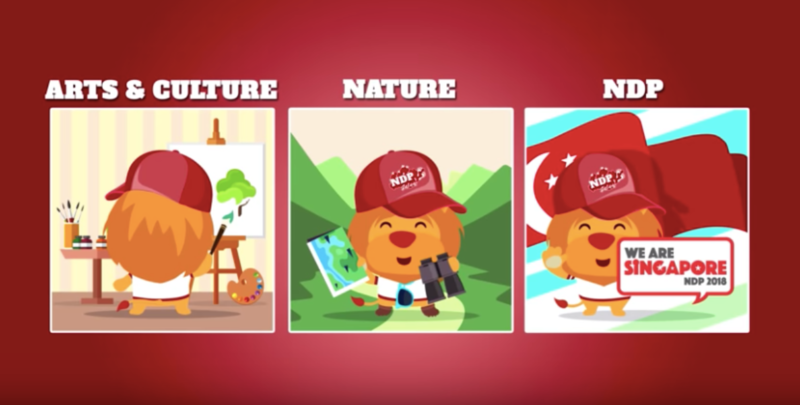 mobile app—conceptualised by the National Day Parade (NDP) 2018 organising committee and SKY Optimum Technology—has been launched to help Singaporeans of all ages learn more about Singapore’s history, her rich cultural heritage and the exciting elements of NDP2018. Supported by partners such as the National Arts Council and the Singapore Botanic Gardens, the app makes use of augmented reality (AR) technology to take players on learning journeys. If you were (or still are) a fan of Pokémon Go, this app is right up your alley. Here are four fun features of the NDP Jalan! app. Upon downloading and opening the NDP Jalan! 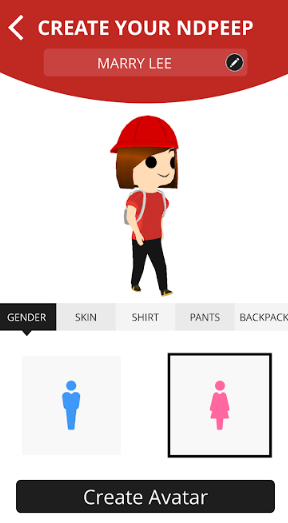 mobile app, you will first be prompted to create an NDPeep—an in-game avatar with customisable characteristics such as gender and clothing colour. You can also select the artwork on your avatar’s backpack. There are 18 different designs to choose from, featuring iconic structures such as the Marina Bay Sands and the Merlion drawn by 38 special needs students from 18 special education schools in Singapore. Once you’ve finalised your NDPeep, head out and take a jalan-jalan (walk) on real-world thematic trails scattered around the city-state. The special NDP trail, only available from 30 July to 9 August, takes you on a tour of The Float@Marina Bay and its surroundings, where you can uncover trivia about the various elements of NDP2018. If arts and culture are your cup of tea, head over to the Civic District, where there are checkpoints within museums and galleries to explore. For those who prefer greenery, a nature trail can be found at the Singapore Botanic Gardens, a UNESCO World Heritage Site. Each thematic trail has its own unique set of checkpoints, like the Pokéstops in Pokémon Go. As you approach these checkpoints, icons will appear on the NDP Jalan! app; by tapping on them, you will be invited to participate in quizzes and play minigames. Many of these interactive activities make use of the app’s AR function, granting you a unique experience of the sites that you’re visiting. There are also a total of 50 in-game quests to be attempted, and for every five quests completed, you are entitled to redeem vouchers that can be used at participating F&B outlets and merchants island-wide. Even after you’re done with the thematic trails and quests, you can use the app’s AR Viewer mode to enjoy special exhibitions at Bayfront MRT Exit B (5 July–9 August), Singapore Discovery Centre (10 July–18 November) and Tampines Hub (4–9 August). So if you haven’t already done so, download the NDP Jalan! app now to discover Singapore in a fun and engaging way.